I had a spare barrel that I blasted and sent off to Sportax for a new liner,re-bore and piston. Waiting for some warmer weather now so I can fit it . Cheers Sportax for a great job,will send you a spare cylinder head for a looking over next. 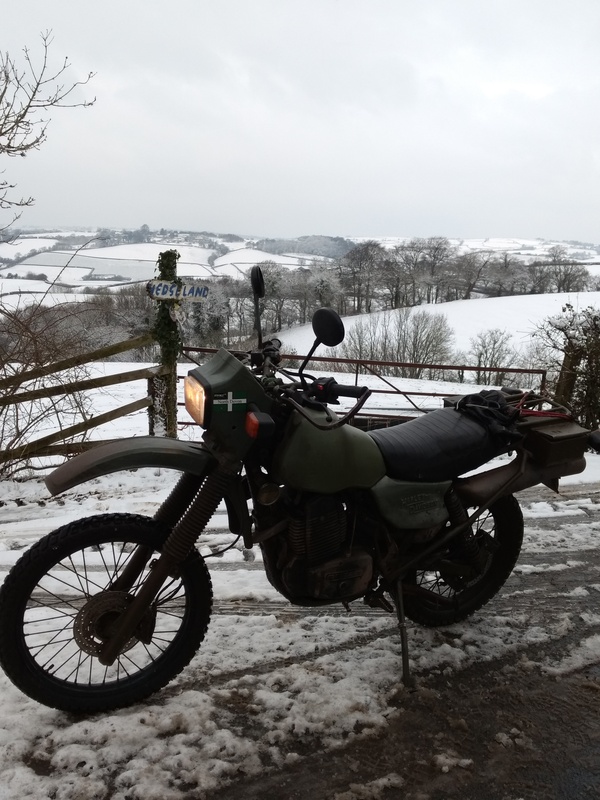 Decided to ride the MT 500 today to work so Er Indoors could get around in Sandy the Landy in the snow. Thought I would take some photos to show how lovely Mid Devon is in the snow. Got home half frozen to death to find Er Indoors didn't go anywhere. So nice to see you have snow there, Korky! Have you considered icepeaks to tires? Presumably you mean ice picks ? I have seen a video , think the link was posted here a few years ago, of Swedish military bikes in snowy conditions. 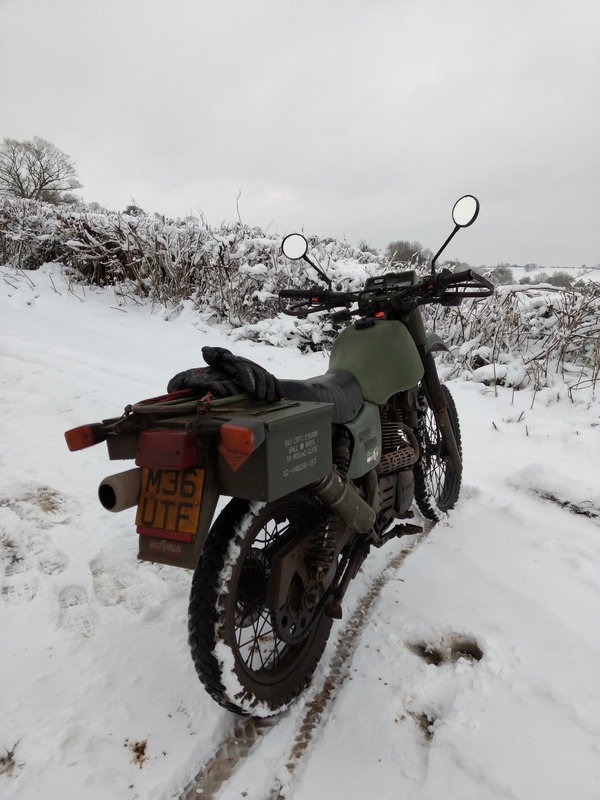 The bikes were fitted with snow tyres and outriggers. Hi Jamba, what are icepeaks? Must be like trying to fit a hedgehog to your rims!